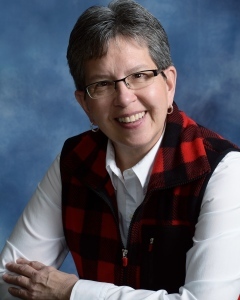 Jeni is a life-long resident of Albion and has been a member of St. Michael's Parish since 1982. She graduated from Albion High School in 1977 and attended Kearney State College and Grand Island School of Business, graduating with a degree in business. Jeni and her husband, Randy, were brief residents of Brookings, SD and it was there that she joined the Catholic Church in 1981. The Porters moved back to Albion in 1982 and have three children, Jon, Dori, and Tessa, and three grandchildren. Jeni has been employed as the business manager of St. Michael's Church since 1996 and is also a Eucharistic Minister of Holy Communion.